Playas de Orihuela Offering a garden, La Zenia is situated in Playas de Orihuela. Murcia is 36 km away. Free WiFi is featured throughout the property. 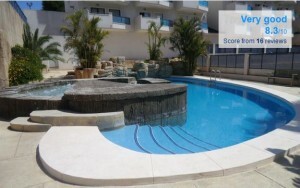 Playas de Orihuela Located in Villamartin, Apartment Oasis Beach La Zenia offers an outdoor pool. Accommodation will provide you with air conditioning, a balcony and a seating area. There is a full a kitchenette with a dishwasher and a microwave. Featuring a shower, private bathrooms also come with a bath or shower and a bidet. You can enjoy sea view and pool view. 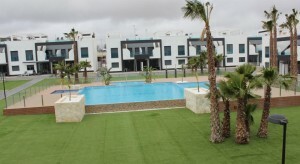 Apartamento En La Costa is located in Playas de Orihuela, 300 m from the Beach. It offers a shared seasonal outdoor pool, a shaded private terrace and a roof terrace with loungers. The air-conditioned apartment features a double bedroom, a twin bedroom and a single bedroom. There is a sofa bed in the twin and single rooms. The lounge includes a flat-screen TV, a DVD player and access to a balcony, and the kitchen comes with an oven, hob and microwave, as well as a washing machine. Featuring a bath, the bathroom also comes with a hairdryer and towels. You can enjoy a pool view and a garden view from the apartment. There is a barbecue on the terrace.—There is a supermarket 200 m from the apartment, and there are restaurants and cafés within a 5-minute walk. 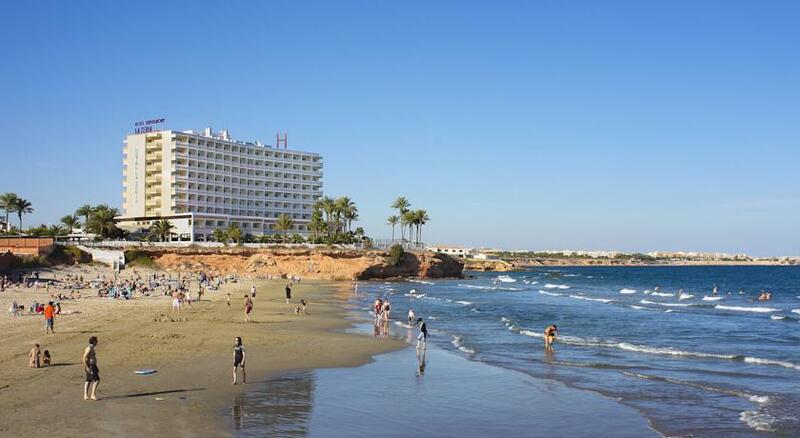 Hotel Servigroup La Zenia has a sun terrace with loungers, overlooking the beach. There are also large gardens with children’s play areas. In the summer the hotel offers a wide range of activities and entertainment. La Zenia’s restaurant serves buffet meals, and offers show cooking. A gluten-free menu is available on request. Entry to the hotel’s wellness centre comes at extra cost. Facilities include a heated indoor pool, a gym and sauna. Massages and beauty treatments can also be booked. Guests receive a discount on green fees at a nearby golf course. Just 10 km away, the resort of Torrevieja in Costa Blanca, Hotel La Zenia offers a wide range of shops, bars and restaurants. Orihuela is 30 km away. We speak your language! Hotel Rooms: 223 La Zenia Holiday. Above you will find a few properties to rent in the area. To see more use the scroll bar. 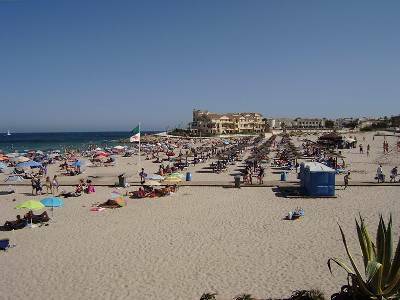 La Zenia is approximately 40 minutes drive south of Alicante Airport. San Javier Murcia airport is only about 15-20 minutes to the south with cheap flights from Ryanair and Easy Jet. Road access to La Zenia is good with the AP-7 autoroute (toll motorway) coming down from Alicante airport and goes south to Murcia San Javier airport.Also the N-332 goes directly through La Zenia and this also goes from Alicante airport in the north all the way down to Murcia San Javier airport to the south. Torrevieja is a coastal town in the south of Alicante province. It is situated within the district of Vega Baja, it has a population of 81,080 inhabitants and is contained within town boundaries which are adjacent to Guardamar del Segura to the north, Rojales and Benijófar to the west, Montesinos and San Miguel de Salinas to the southwest and the Orihuela beaches to the south. Torrevieja is 41 kms away from Alicante to the north, 23 kms from Elche to the northwest, and 53 kms from Murcia in the southeast. Torrevieja has a protected Natural Park with two salt lakes, and 20 kms of coastline containing six large beaches – La Mata, Cabo Cervera, Los Locos, El Cura, Los Náufragos and Ferris – and about 20 coves with an abundance of cliffs. The climate is temperate continental, with temperate winters and mild summers with temperatures which range between 18 and 25 degrees for most of the year. Spain Info, La Zenia Holiday.